Piqua, Ohio, Aug. 5, 2014 – Hartzell Propeller Inc. will supply new advanced lightweight propellers to Piaggio Aero Industries for its third generation twin-engine Avanti EVO, the world’s fastest production turboprop. For the EVO, Hartzell worked with Piaggio to develop new highly swept wide-chord aluminum alloy propellers that in conjunction with changes to the nacelle and engine exhaust geometry combine to reduce external noise by 68 percent or five dB(A). Passenger comfort is also improved by a cabin noise reduction of 20 percent, or one dB(A), attributable in large measure to Hartzell’s five-blade scimitar design. The EVO will come equipped with two Hartzell 85” diameter, five blade, fully feathering and reversible, hydraulically controlled, constant speed propellers. Hartzell Propeller also provides props for the Piaggio Avanti II and Piaggio’s recently announced unmanned Hammerhead. 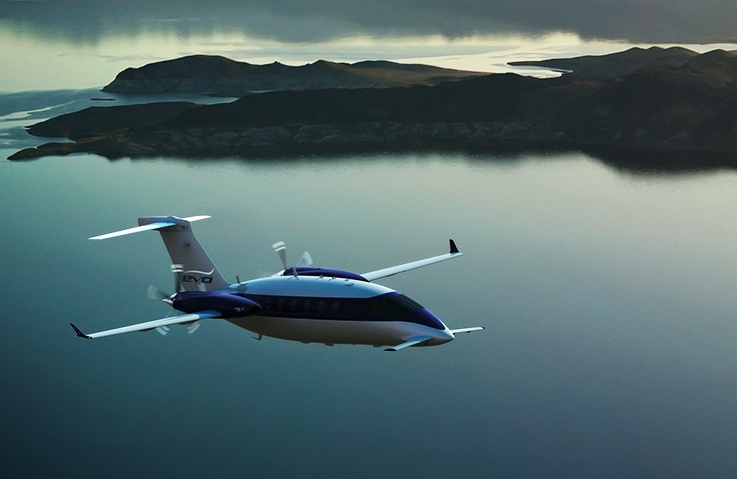 Piaggio Aero’s flagship product is the Avanti EVO, the fastest, most advanced executive/multi-utility turboprop in the world, offering the speed of a light/mid-size jet, and the comfort of a large, whisper quiet full stand-up cabin, with fuel efficiencies 40 percent greater than most business jets. The new Avanti EVO builds on the renowned Avanti P.180 platform, and brings a host of improvements and upgrades to boost efficiency, reduce operating costs, provide greater levels of comfort for passengers, and be even kinder to the environment. About Piaggio Aero Industries S.p.A.
Piaggio Aero Industries is active in civil and ISR Aircraft design, manufacturing, maintenance and overhaul and also manufactures Aero-Engines parts, while managing repairs and engine overhauls under license. It is based in Genoa, Finale Ligure, Italy, with a new state of the art center of aviation excellence under completion in Villanova d’Albenga, Italy. Piaggio America, the subsidiary covering marketing, sales and customer support in the Americas is based in West Palm Beach, Fla. The new vision of Piaggio Aero is maintaining its role as a global brand in business aviation and becoming a prominent player in the surveillance and security sector producing leading edge Unmanned Aerial Systems and world class Multirole Patrol Aircraft. For more go to piaggioaero.com. Hartzell Propeller is the leader in advanced technology propeller design and manufacturing with more than 3,700 propellers delivered annually to business, commercial and government customers. The company developed the next generation of propellers with innovative blended airfoil technology. It manufactures these blades using a combination of revolutionary machining centers and robotics. With its ASC-II™ composite technology, Hartzell provides mission-optimized performance for customers. Hartzell Propeller traces its beginnings in 1917 to a business relationship with Orville Wright and was founded on the principle of Built on Honor – a tradition that continues today. For more info go to hartzellprop.com.